Do I Have a Bad Cold or Do I Have the Flu? Ok, so you wake up with a terrible headache, sniffle, sore throat, stuffy nose, body aches and just feeling miserable over all. You start asking yourself, “is this just a cold or do I have the flu?” Although the flu and a bad cold are two separate illnesses, many people are not able to differentiate between the two because they share many of the same symptoms. Learning the difference between the two is important because it will help you seek appropriate treatment and medication. What is a Cold? A cold is typically a viral infection that affects the upper respiratory system. Studies conducted by various credible institutions have shown that cold is the most infectious disease in humans. It is mainly caused by rhinoviruses and coronaviruses. The human body has its own mechanism that helps fight off viruses that can cause a cold, but various other factors can compromise the body’s level of resistance. Research conducted by the Center for Disease Control and Prevention (CDC) showed that children below the age of 10 years generally get an average of 12 colds per year. This risk decreases as they get older. Most people think that living in a cold climate increases the risk of having a cold, but that is simply not true. A cold climate does not increase the risk or severity of a cold. In addition to that, if your cold is caused by a virus, antibiotics will not cure or speed up the recovery process. About 25% of people suffering from common cold may not even manifest any symptoms because the immune system is able to fight it off. Influenza, commonly known simply as “the flu” is a common illness that is commonly caused by the influenza virus that attacks the respiratory tract. This infection typically is characterized by getting a bad cough, fever, malaise, body aches, weakness and headache. In extreme cases, some people can develop vomiting, nausea and diarrhea. The majority of people suffering from the flu usually recover after one or two weeks. However, when compared to other viral respiratory infections such as common cold, certain strains of the flu can result in more severe illnesses, especially in those whose immune system is somehow compromised. There are three types of flu virus (A, B, C). Influenza A and B are the most common and affect many people especially during winter season. Although both illnesses can be caused by a viral infection, the flu is caused by influenza virus (a respiratory virus) while the common cold is usually caused by the coronavirus and adenovirus. There is a lot of variability with the common cold. As a result, there is no cure for common cold. On the other hand, the flu is known to be caused by influenza and can be prevented or greatly reduced by taking the flu vaccine every year. The common cold usually produces congestion, running nose and sore throat. On the other hand, flu symptoms tend to settle deeper with more serious side affects. Flu affects the joints, lungs and can even cause respiratory failure and pneumonia. The common cold is rampant with kids under the age of 10 because of their gut immaturity. For this reason, the incidence of catching a cold usually lessens as one grows up. On the other hand, influenza can affect anyone, anytime and any age. In most cases, common cold is usually more or less a nuisance and is not life threatening. On the other hand, flu can be very dangerous to the elderly or those whose immune system is already compromised. Usually both the flu and common cold are not life threatening and they disappear in one or two weeks. However, if you discover that you are suffering from persistent fever for more than a few days, then that can be sign of bacterial infection that requires urgent medical attention. You should also seek medical attention if you suffer from persistent sore throat, coughing, congestion persistent headache, or problems breathing. 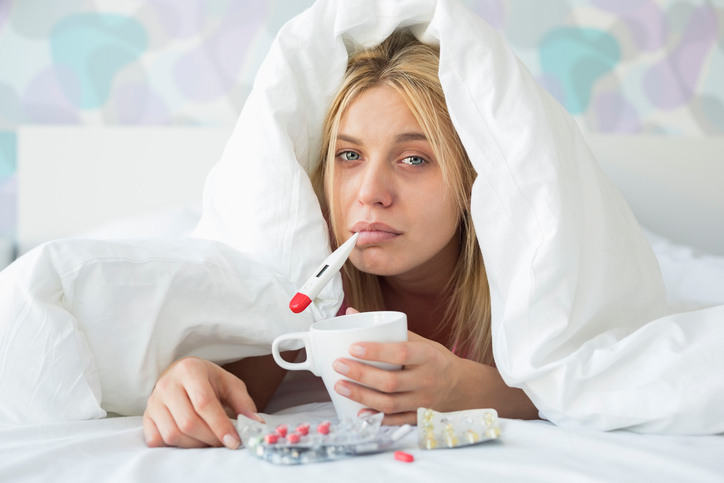 In summary, its safe to say that everyone will suffer with a cold or flu sometime throughout their life, but knowing the basic differences between a cold and the flu will help you decide when you should go see your doctor and get antibiotics and other medications to help resolve this situation and put you back on track to once again enjoying good health! If you are looking for a great family practice doctor or primary care physician, Dr. William Cheatham is a great choice! Conveniently located in the Pompano Beach area, Dr. Cheatham is a top-notch family practice physician who is highly revered by both his patients and peers alike. Call 954-364-3673 and schedule your appointment stop in and address any health concerns you might have. When cold and flu season hits, you’ll be prepared with the right medical support when you need it the most!